It’s now past the middle of February and it’s really starting to feel a little more like spring around the Madison Valley. Days are getting noticeably longer and the daytime temperatures are creeping up into the 40s and even 50 on occasion. If past years are any kind of indicator, Old Man winter is gone for good. The respite from one of the coldest January’s is welcomed with shirt sleeves and the occasional flip flop sighting. 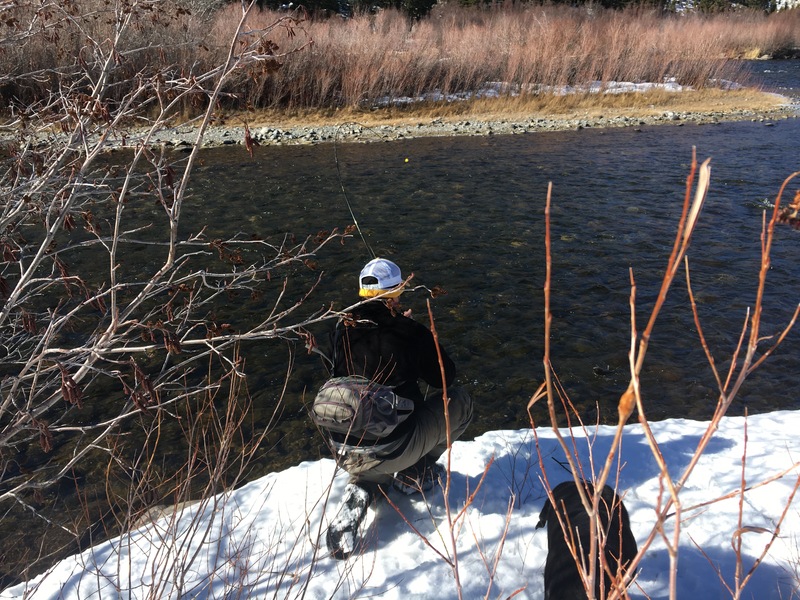 This warmer weather has the river warming and fishing well most days. 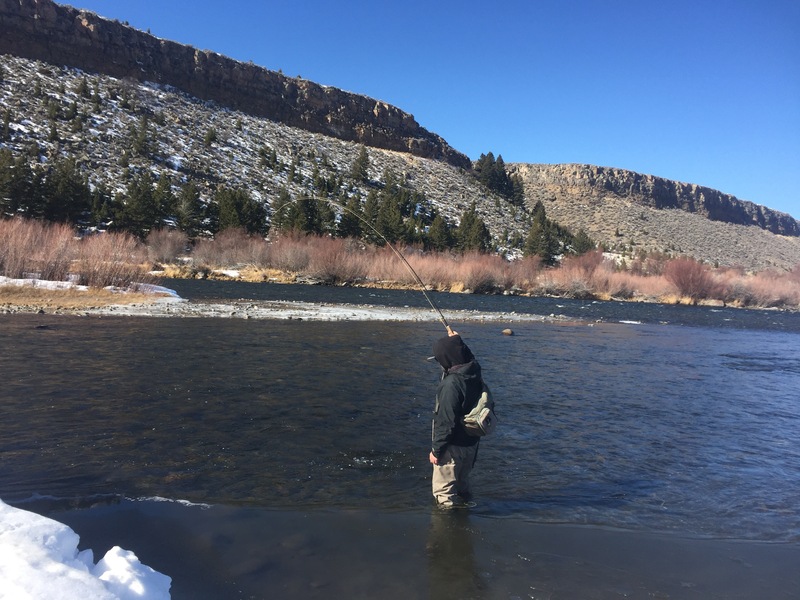 The ice below Varney Bridge is breaking up enough to get some wade fishing in and there are a couple of boat ramps open enough to float on the south end of the valley. Check back in for current change conditions. Joe at Montana Trout Stalkers did a great spread on what ramps can and can’t be used to launch a boat so I won’t redo that great work. Check the link. The setups don’t have to be to complicated this time of year as fish will eat most anything that gets in front of them. 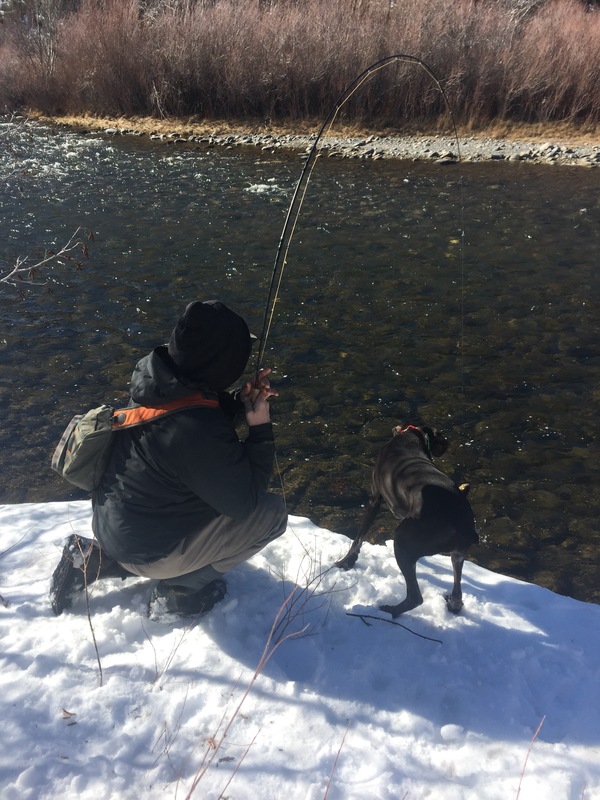 Got to poke around the Madison River with Trouts N’ At and actually catch a few fish.